Using force over the decades has only led to less and less legitimacy of Indian claims on Kashmir rather than more. Jyotiraditya Scindia might have backtracked on his remarks about a plebiscite in Kashmir, but it is an issue that will not go away. We have all heard about the promise of a referendum in Kashmir. The text of the UN Resolution calling for a plebiscite is easily found. India has argued that since the Pakistani troops never pulled out of the areas occupied by them in the 1947-48 war, the plebiscite could not be carried out, and anyway, as the people of J&K have voted multiples times in elections, they have agreed to the accession to India. This elides the central point that a plebiscite was never held. The idea that Pakistan did not fulfil its obligations, does not mean that India can so easily shrug off its obligations to Kashmiris. The vast majority of the Kashmiris do not believe that they have had a chance to express their choice through democratic means. And, frankly, since anybody who stands for elections in J&K has to swear by the Indian Constitution, elections in the state are no substitute for a plebiscite – they are only a contest of people who have already agreed to being part of India, not those that have doubts. This means that, for a large number of people in the Kashmir Valley, the democratic process has no validity. The elected politicians are not seen as authoritative. We see this clearly whenever riots break out in the Valley. The MLAs and MPs are nowhere in sight. They just do not have the legitimacy to confront the anti-India slogans, because they have already been forced to one side. They are not seen as representative of the people, but representative of a distant regime in Delhi that has denied the Kashmiris the promise of a choice freely taken. The paradox of Kashmiri leadership is that the only way that elected leadership will be given that legitimacy will be if the Kashmiri people are given the choice to choose whether to be with India or not. Without that legitimacy the politicians of J&K will always lack legitimacy, and thus the deepening of the democratic process will be retarded. Walk out on to the streets of Hyderpora, Sopore, Anantnag, Srinagar or anywhere else in the Valley, or even in Jammu, Gurez, or Leh, and everybody will tell you that the chief minister of J&K is chosen in Delhi, not in J&K. The rule that matters is Central rule, not state rule. We have a corollary in the anti-colonial movements against the British Empire. Most of the ones that succeeded, whether it was India or Zimbabwe, Sri Lanka or the United States of America, were the ones where resident populations did not believe their legislators represented their interest. Whether it was the rebels involved in the Boston Tea Party, or the Indian Congress Party, they all believed that the Empire ruled against their interests. But there were people that did not throw off the yoke of British Rule. Even today the monarch of Canada and Australia is the Queen of England, Elizabeth II. These colonies were able to negotiate the devolution of power in such a way that formal independence was not an issue. At one time, this was an offer that India too was thinking of, but British rule in India was abusive, and imperial. It used force, rather than the persuasion of representative authority, to impose those rules, and Indians (rightly) rejected it. We have the option to continue using force, and a political leadership that is fatally undermined by a lack of legitimacy, to enforce our rules. Over the decades it should have become clear that this has only led to less and less legitimacy of Indian claims on Kashmir rather than more. Frankly the only way that legitimacy will be gained will be if we allow the population to freely vote to be with us. For some reason the people arguing against a plebiscite call themselves nationalists. But if you are truly nationalist, how is it that you believe that the people we govern hate us? That would mean we are a bad nation – and surely our TV nationalists do not believe we govern our people badly, do they? The only reason that some Indians fear a plebiscite in J&K is because they have no faith in India. They have no faith that India genuinely offers a better option to Kashmiris within its framework than out of it. 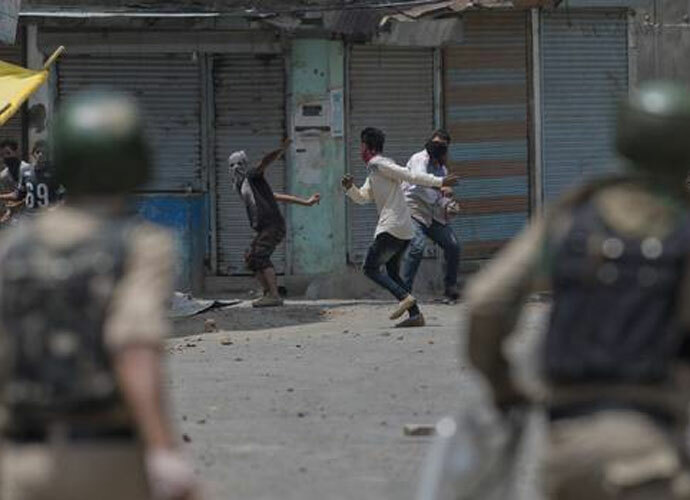 Because they have no faith in India, they have no faith that Kashmiris that will choose us. A genuine nationalist would have no such doubts. Unfortunately we can find no such nationalists in India today.